We continued with EP Presentations this Wednesday. Like last week, I enjoyed listening to my classmates as they presented on their EPs. Everyone put so much effort into their projects and it was nice to see how much thought they put into the physical gift for their ep. I also presented my EP this week. I admit that it was uncomfortable to me. I usually don’t talk much about my family to other people. The entire EP project was a different experience for me because culturally Vietnamese immigrants don’t talk about these things. I talked to a few Vietnamese classmates about this as well and they shared the same sentiment. We also discussed the second book this week, This Chair Rocks: A Manifesto Against Ageism. Overall, I thought it was an interesting read. I am a little familiar with the WHO’s healthy aging and anti-ageism initiatives, so it was nice to further learn about that topic. The book did get me to think more about the certain connotations behind certain words that we as a society use to describe older adults. Following the book presentation, we discussed examples of ageism in society, the difference in the ageing experience between men and women, and how ageing is portrayed in the media. ​Towards the end of the class, we discussed the upcoming senior prom at the Casa de Manana retirement community. I was not part of the group that planned this event, but I am very excited to participate that day and see how the event turns out as a whole. On Tuesday, February 26th, the Life Course Scholars Class set up and attended a Senior Prom at the Casa de Manana retirement community. When I arrived, the prom had already begun. The room looked really nice and I could tell that my classmates put in a lot of effort to put up the Rock n’ Roll themed decorations. The photoshoot corner was interesting. It seemed like the seniors really liked wearing the props and getting a polaroid to take with them. I got there just in time for the raffle. Joey did an amazing job as MC. I couldn’t stop laughing and I’m sure the seniors were entertained as well. I was paying attention to one particular senior in the back. Every time a ticket was called that wasn’t his he would make a face and I was just rooting for him the entire time. ​After the raffle, the band started playing and a few seniors got up to dance. It was an interesting choice of music. As the night progress, more seniors got up and danced. I would say that towards the end pretty much every student who were left joined in on the dancing. It was nice to see the energy in the room. I had the opportunity to talk to a few ladies and they both said they had so much fun (one even complained about how her husband was boring because he wouldn’t dance with her). Overall, I think everyone had a good time and I’m glad I was able to make it. Last Saturday, March 9th, the Life Course Scholars Class set up and attended a Senior prom at the Gary and Mary West Senior Wellness Center. I was part of the group that planned the event, so I arrived early to set up that day. Quite a few of my classmates arrived early to set up too. As we were setting up, my boyfriend and I were pulled aside by woman and we both had a great conversation with her about healthy aging and wellness. She talked about the class she was taking about the healthy foods for the mind. 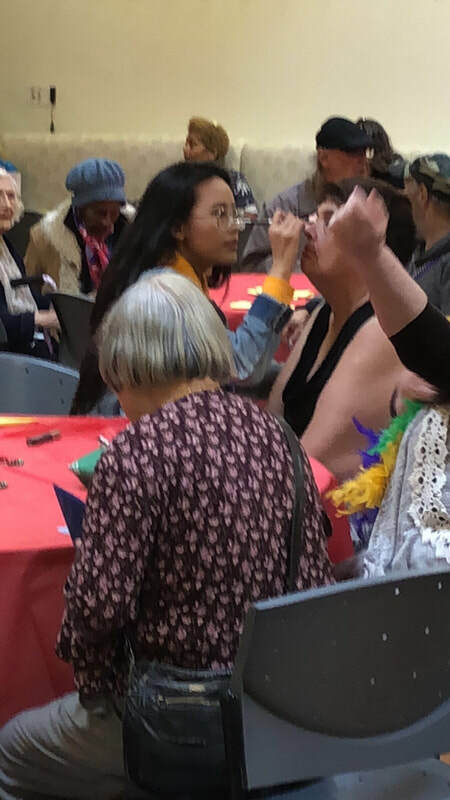 As the seniors began coming in, I was pulled aside by a woman who asked me to help her put on her makeup (blurry photo provided above). This was a moment that stuck with me throughout the event. She looked really happy to be there and happy that I helped her. It warmed my heart. During the event, I worked at the photobooth. The polaroid camera was being a little temperamental. I had some trouble taking photos and it took a little bit of finessing, but I was able to take a photo for every senior who wanted one. They really liked having a photo to take home. Towards the end, I made sure to go take a picture for the prom king and queen. A classmate mentioned to me that they wanted a photo, but weren’t able to come to the photobooth. ​Overall, the seniors all seemed really happy to be there and to enjoy themselves. It was a much different feeling than the Casa de Manana prom. The seniors at Casa had a good time, but it just seemed like the seniors here valued it so much more. I am very grateful to have been a part of this event. On February 13th, we began class with the Oral History Project presentations. I really enjoyed seeing my classmates talk about their Extraordinary Person (EP). I could see that those who presented really enjoyed talking about their EP. It was clear that they put a lot of effort into both the presentation and the project as a whole. It was nice to hear each EP’s unique life story and see the physical projects. I learned a lot about their individual struggles and how they overcame difficulties to be who they are today. It was a very emotional and eye opening experience. Listening to these stories inspired me in regards to my own Oral History Project. I am looking forward to presenting my project next Wednesday. Following these presentations, my book group presented. We were responsible for presenting the book “Selling the Fountain of Youth”. Personally, I was not a fan of the book. Although I agreed with many of the author’s points, her method of presentation and her writing choices in the book just rubbed me the wrong way. It all felt like it was more rhetoric than substance. I would have appreciated a book that focused more on evidence and logical reasoning. I felt that it was very overtly biased and at times not logically sound. However, I do recognize that I am perhaps not the target audience of the book. I assume it is meant for those in the general public who are less concerned about the things I am pointing out. I also recognize that rhetoric is important to selling an argument. Overall, the book did get me to think more about the “anti-aging” market. As someone who is very into skin care, I’ve come across plenty of products marketed as “anti-aging”. This is something I plan to look further into. ​Towards to end of the class, we discussed our ideas for the individual HAPs. Being very into mixed media art, my planned project is a collaborative intergenerational art piece--either a mural or a large canvas or multiple small canvases connected together to form one large piece. I think it would be fun to be able to draw and paint alongside elders because it could also facilitate conversation. I’m really looking forward to this. 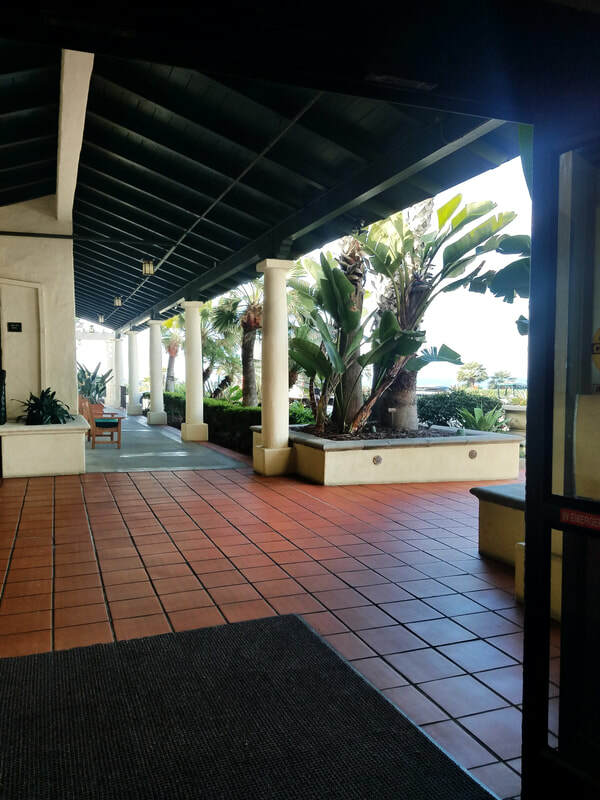 Coming from a low income background, I never knew how poor I was in the context of La Jolla until we made a visit to the Casa de Manana Retirement Community this past Wednesday, January 30th. The first thing I noticed upon arrival was the ample amount of parking. This was not the case when it came to our visits to past locations. The facility looked more like a expensive vacation resort than a retirement community. And, for that reason, it was priced like one, ranging from $4,000 for a one bedroom apartment to $12,000 for a villa (according to the website). In comparison, my one bedroom in City Heights costs about a third of the price here. Yet, $4,000 for an apartment that includes food, utilities, cleaning services, and the other amenities provided by Casa de Manana is rather normal for the area. It is in the higher range of prices, but not outrageous. I think this speaks to the cost of living in San Diego. There are very few people who can afford that price, yet it’s not too far off from the average price for a one bedroom combined with the associated costs of living. ​The seniors living here were clearly not your average senior. For the most part, they’ve lived privileged lives and are continuing that into retirement, not that they’re wrong for enjoying their money. I noticed that living a privileged life does affect one’s physical health and appearance as one ages. The seniors we met here were the oldest we’ve seen and they looked significantly younger than their ages. It was really interesting to hear the seniors tell stories about their lives. They all spoke so vibrantly and enthusiastically. I’m looking forward to our trip back. Last Saturday, January 26th, the class took a trip around San Diego to take a look at affordable housing options around San Diego. We were able to tour some locations, such as the one operated by Serving Seniors, the Sarah Francis, and the North Park Senior apartments. In other locations we stopped by and discussed the geographical surroundings, features of the neighborhood, and architecture of the building in comparison to those adjacent. I’m not exactly sure what I previously thought affordable housing looked like. But, for some of the options we visited, that was not it. Some have buildings that blended in perfectly with the surrounding area and could easily pass as market rate housing (I attached a photo). The trip showcased the range of quality in affordable senior housing. Locations like the Sarah Francis, although intended to be temporary, were dark, dingy, and lacked air ventilation, while places like the North Park Senior apartments were filled with natural light and open spaces. This difference is important because things like cleanliness, air quality, and bug infestations affect well being. In the case of seniors, it could affect their lifespan even more drastically. 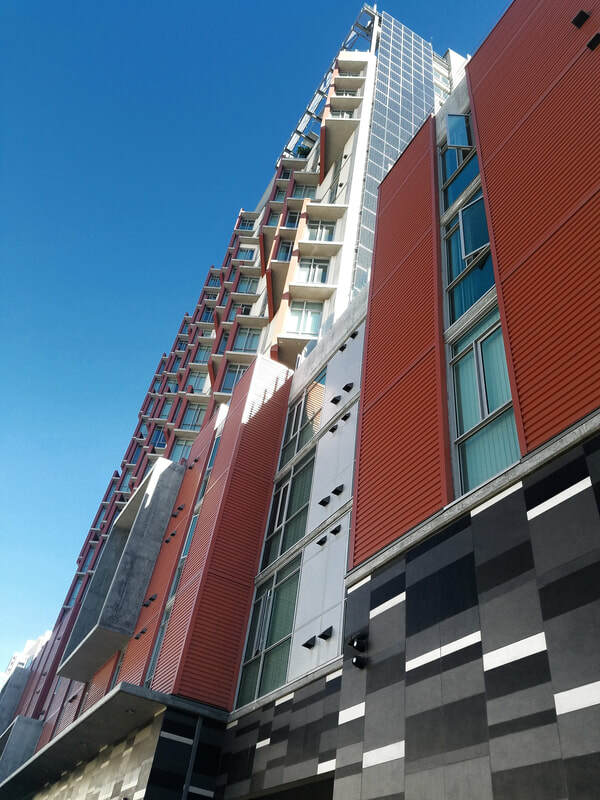 Meanwhile, things facilitated by the North Park Senior apartments like autonomy and social activity promote wellbeing and an improved quality of life. ​My final thought is towards waitlists. The Serving Seniors location mentioned that they have a very long waitlist. Being full, I believe the North Park Senior apartments have one too. I’m sure the market rate like locations are in the same situation. What this means is that although affordable housing in San Diego, it's not necessarily accessible. This is due to a basic supply and demand situation. While there are developers willing and wanting to build affordable housing complexes, many are not willing to do so and it’s unfortunate. Last Wednesday, January 23rd, the class took a trip to the Gary and Mary West Wellness Center in downtown San Diego. The trip started with a presentation on the topics of elder poverty and what the center does to combat that issue. I found the presentation very interesting. I learned alot from it. I was especially shocked by the fact that the national poverty level was calculated in 1955, has not been accurately adjusted to modern costs of living, and does not take into account the fact that costs of living differs in different areas. It was also shocking to learn about how seniors typically use such a large percentage of their income to pay for housing and that so many were on the verge of homelessness. ​After the presentation, we were given a tour of the facilities. We saw the various amenities offered--at no cost--to seniors who came. These include dental services, computer lessons, and social services. When we reached the cafeteria, we had the opportunity to meet and speak to the seniors present. I am admittedly a little shy when it comes to approaching people, so I was a little hesitant. Eventually, I did begin to talk to a few people. 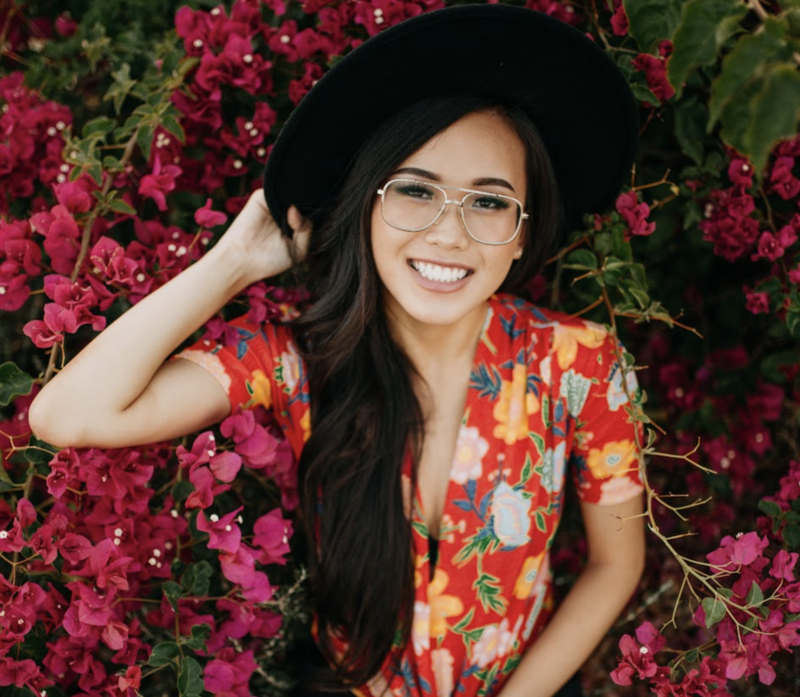 I talked to a Filipino woman who said that although she appreciated the center, she missed eating Filipino food and would prefer the food of her homeland over the food given. This made me think about how important certain comfort foods are especially when one is far from home or loved ones. Food is a key element of culture and can connect a person to his or her homeland. Not being able to eat those dishes can make a person feel isolated from their identity. This past Wednesday, January 16th, the class went to the Bayside Community Center to take part in Zumba with seniors who frequented the center. Unfortunately, due to the cold weather and rain not many seniors were present. Still, it was a memorable experience. As a person who has done Zumba before, I came in knowing one thing that many in my class did not. Zumba is hard. As it began, I once again came to this same conclusion. Zumba is hard. It gets you sweaty within seconds and you're 10000% sure you look ridiculous doing it. Yet, it's still somewhat enjoyable once you warm up and stop thinking about what you look like doing it. This happened for me and I eventually got into it. Looking around the room, I noticed that the seniors were also very into Zumba. ​After Zumba, we had a light breakfast and then a section of time meant for us to talk to the seniors. Unfortunately only a few seniors were present that day and I did not have the opportunity to speak to one. I instead used this time to get to know some of the people in my class. Overall, I enjoyed my time at the Bayside Community Center. However, I do regret not going up to a senior to spark a conversation or joining another group’s conversation, but this is my lesson for next time. I think I will try to be more proactive in seeking out a conversation and connection at the next event.